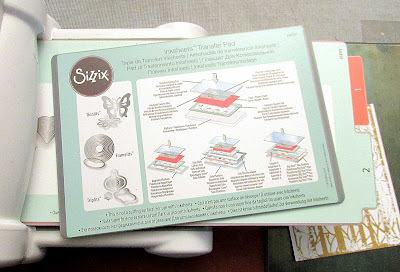 I've been playing around with Sizzix's new product, Inksheets, and I've discovered that you can use stencils as well as dies to make impressions with them! 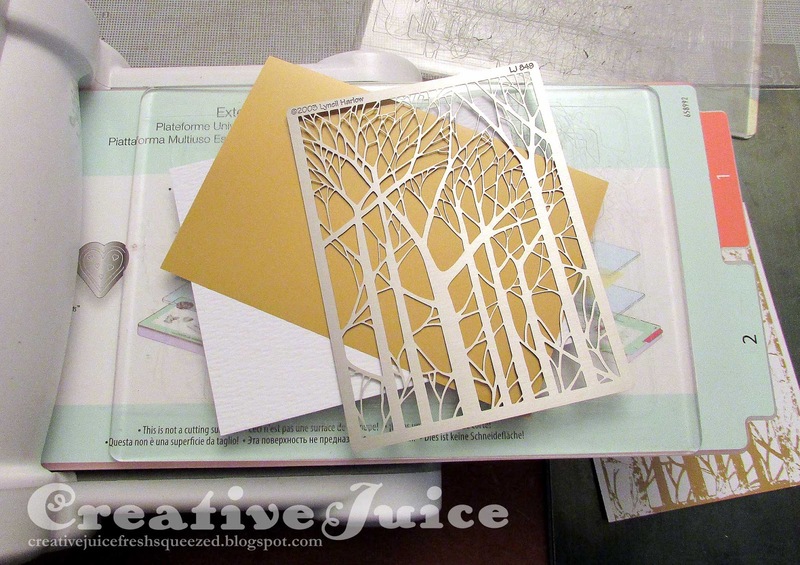 For this card, I've used a metal Dreamweaver's stencil. The Inksheets Starter Kit comes with an adapter pad that you use in your Big Shot when using the Inksheets with thin dies. 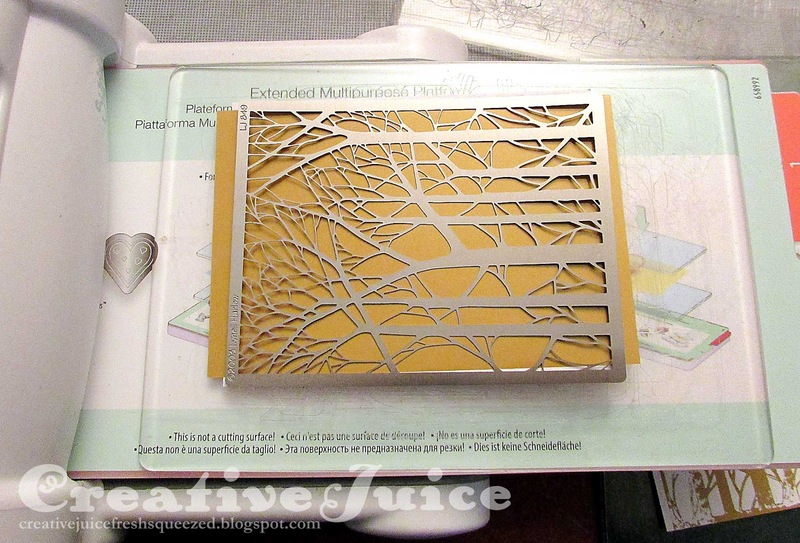 I found that I didn't need it for the stencils because they are thinner than the dies. Use the following sandwich: base plate, regular cutting pad (instead of adapter pad), substrate (I used Distress Watercolor Cardstock), Inksheet matte side down, stencil, and second cutting pad (not shown). 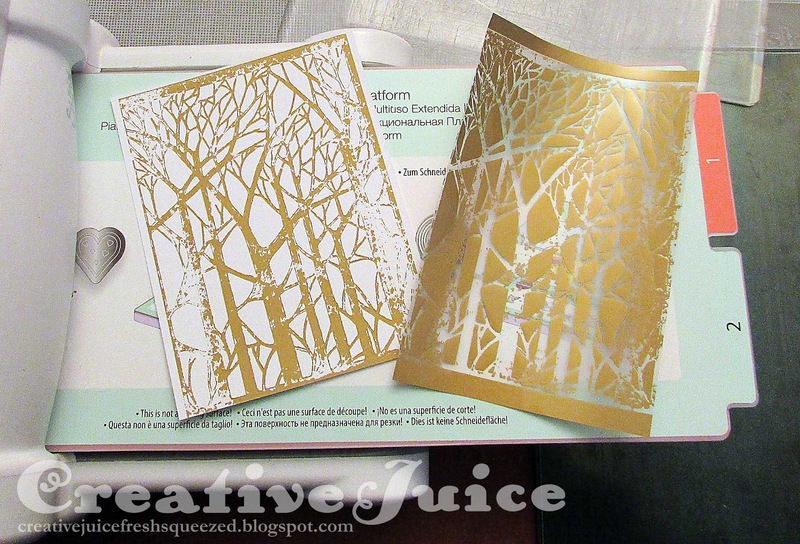 The Inksheet transfer acts as a resist. I used Distress Spray Stains to mist the background and it wipes right off the transfer area. 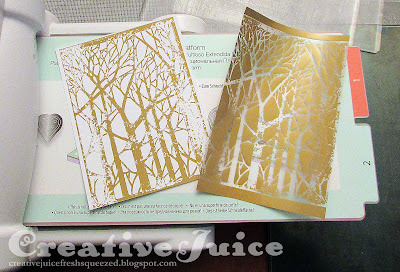 I also tried this technique with a plastic stencil and it works great too! 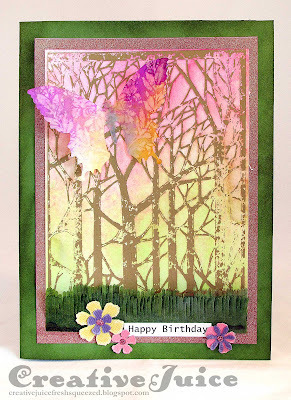 Check out this post for another project I just completed for more Inksheet info. 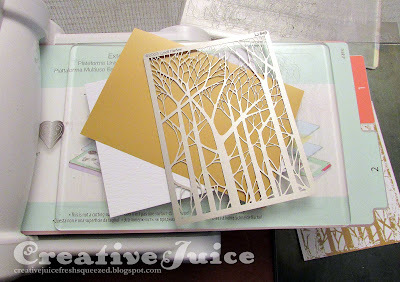 I used dies and embossing folders as well on that one. 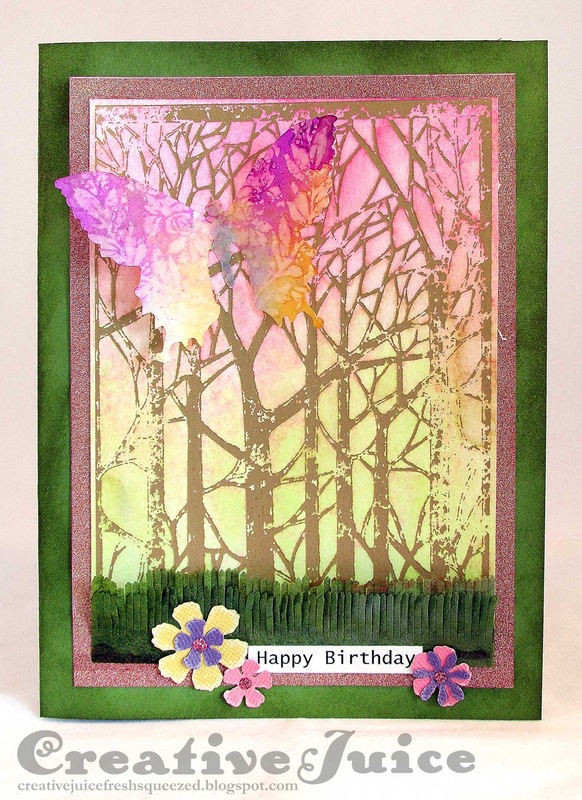 The butterfly on this card is diecut out of Yupo paper and colored with alcohol inks. 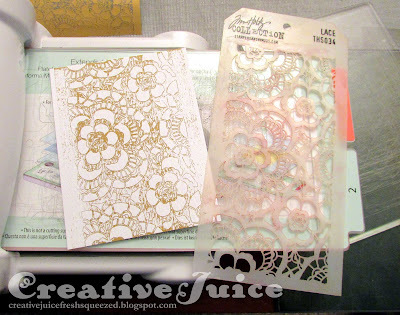 Check out this video by Tim Holtz to find out about this wonderful paper! I'm looking forward to experimenting more with it. 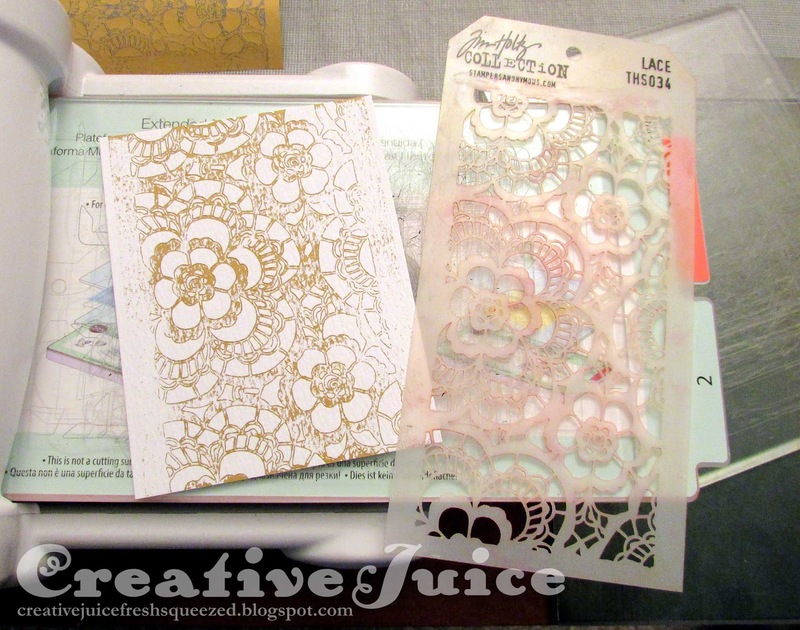 Great tutorial Lisa- I get confused with which plates to use- great info-Thanks! What a fun new product! thanks for sharing ways to use it! Loe the look of those trees! 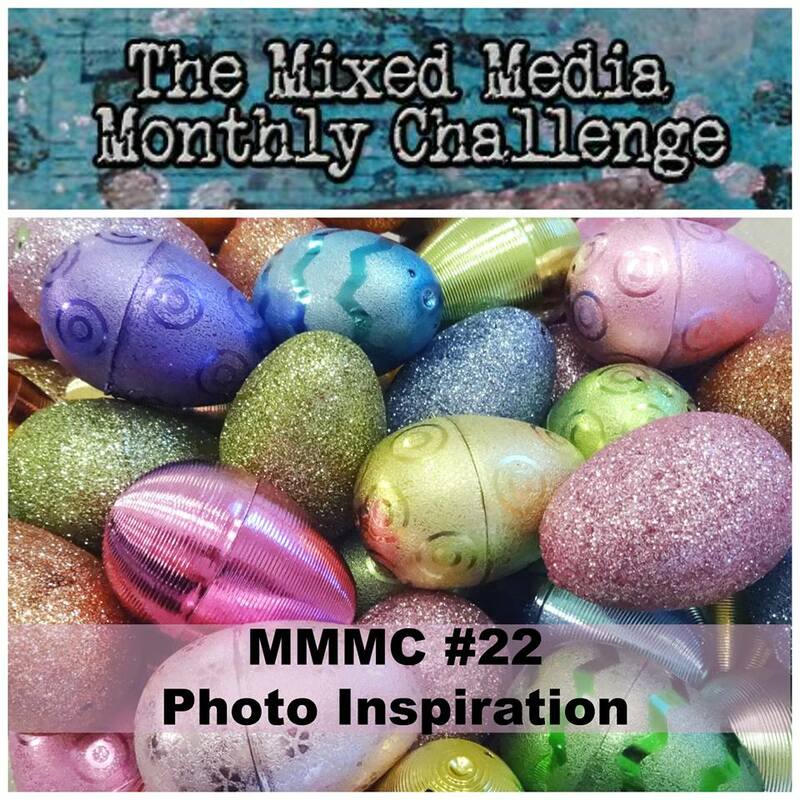 The Mixed Media Monthly March Challenge!